Question: What legendary director died weeks after voicing the role of Unicron in The Transformers: The Movie? Last Question: Who got remarried to his first wife the same year he starred in a dud called Dead Bang? Don Johnson starred in the 1973 movie The Harrad Experiment with Tippi Hedren, Melanie Griffith’s mother. It was on this set where the 22 year old Johnson and 14 year old Griffith met, and began a four your affair. They were married in 1976 for less than a year. Melanie and Don reconciled and conceived a child close to the start of 1989, announced wedding plans in mid-February, and were married a second time, from that year until 1996. It was this time between Miami Vice and Nash Bridges that Don Johnson starred in the movie Dead Bang. One-Hit Wonders? Not Level 42! This article was written by special guest writer, Jim Vilk. Jim loyally Returns to the ’80s every day, and we correspond frequently. I have always loved Level 42’s “Something About You”. However, like a lot of us, I knew very little else about them. Well, this happens to be Jim’s favorite band, and he pointed to a Mark King bass solo, and I was blown away. My first reaction was that more people need to know about this band! And what better person to write about them than a huge fan. Jim is the author of a children’s book called The Not-So-Great State Bird Debate*. It is a very timely book to get this election year, so I would highly recommend it. 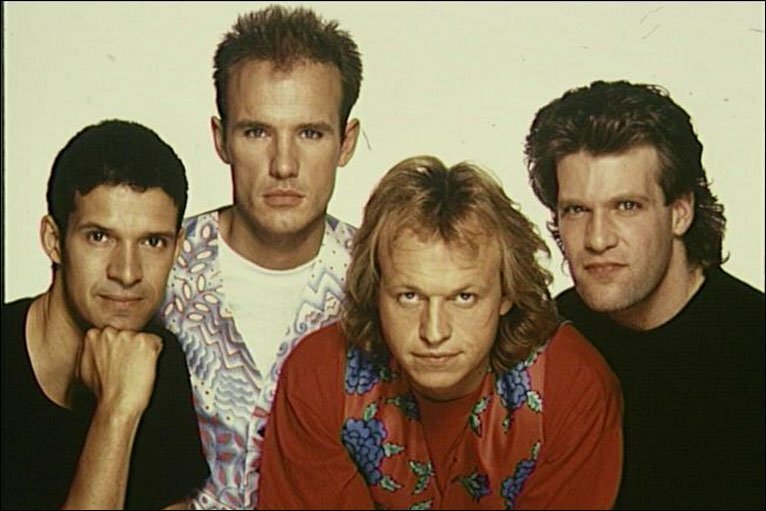 From 1979 to 1994, and from 2001 to the present day, Level 42 has been making wonderful music – both live and in the studio. The British jazz-funk band turned into pop music stars over the course of the 80s, with twenty UK Top 40 hits to their credit and two Top 40 hits in America. “Something About You,” the highest-rated track from their sixth studio album World Machine, was released in England in 1985. The following year, it climbed all the way to #7 on the US Billboard charts. Later in 1986, the band released the single “Lessons In Love,” which ended up on the 1987 album Running In The Family. Remember this video? That song is one of my all-time favorites, and it’s one of the reasons Level 42 is now my favorite band. It went to #12 on the US charts, while across the pond it became the most successful of the band’s singles. “Hot Water” was the most successful song on the album True Colours. It ended up on the US version of World Machine as well, and on the live album A Physical Presence. The live version made it to #87 on the Billboard charts. Level 42 toured the US in 1987 as an opening act for Madonna. They wouldn’t return here until 2010, when they visited a handful of cities to celebrate their 30th anniversary and the release of their box set titled Living It Up. I was lucky enough to see them in person both times. Members have come and gone, but two things have remained constant: Mark King, and fantastic live performances highlighted by his thumb-slapping bass solos. Voting isn’t for the birds, but Great Blue Heron thinks so. He’s running against Cardinal to be the new state bird. Will it be a great blue state, or will it remain a redbird state? And will either bird learn anything while running for office? A fun story for birds of any color and for people of any political party. Whether you’re right-wing or left-wing, you’ll flock to this book! Question: Who got remarried to his first wife the same year he starred in a dud called Dead Bang? Last Question: hat daytime soap had aired a record 35 years when NBC replaced it with a game show called Wordplay in 1986? Search for Tomorrow premiered on September 3, 1951 on CBS. The show had been airing at 12:30 pm on CBS until 1981, when CBS changed it to 2:30 pm. The ratings then dropped, and CBS cancelled the show and aired it’s last episode on March 26, 1982. It then moved to NBC the following Monday. NBC moved the show back to 12:30 pm, but the ratings did not improve, and actually got worse. The final episode aired on December 26, 1986, a run of thirty-five years. At the time of its final broadcast it was the longest-running non-news program on television. This record was soon broken by Guiding Light which had premiered on television nine months after Search for Tomorrow. 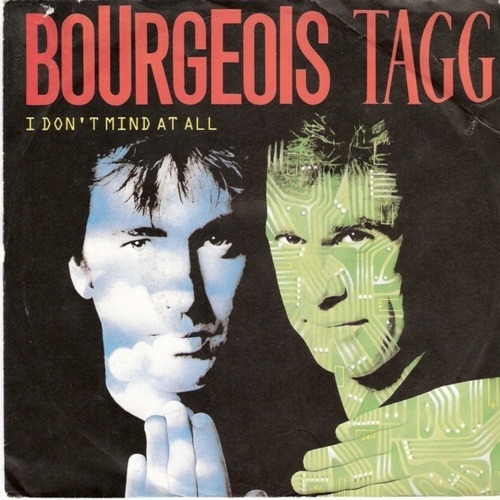 Bourgeois Tagg was a band led by Brent Bourgeois and Larry Tagg. Their self-titled debut album got a little attention on college radio, and that was about it. But in 1987, the band recorded the album Yoyo with Todd Rundgren as the producer. This spawned their biggest, and only hit – “I Don’t Mind at All”. The song peaked at #38 on December 5, 1987. The follow-up single “Waiting for the Worm to Turn” failed to chart in the U.S.
Then tensions rose in the band, and they broke up. Brent Bourgeois went on to a solo career, and is currently involved in Contemporary Christian music. Larry Tagg released two solo albums, With a Skeleton Crew and Rover. Guitarist Lyle Workman tours with Todd Rundgren, and scored such films as Jon Favreau’s 2001 comedy “Made,” and the 2005 hit comedy “The 40-Year-Old Virgin.” Drummer Michael Urbano played with the group Smash Mouth from 2000 to 2006. Question: What daytime soap had aired a record 35 years when NBC replaced it with a game show called Wordplay in 1986? Last Question: What shoe brand had the slogan: “Life is not a spectator sport”? Question: What shoe brand had the slogan: “Life is not a spectator sport”? Last Question: What was the name of Madonna’s first band, for whom she sang and played drums? She left the band to form another band called Emmy before she launched into her legendary solo career. Breakfast Club went on to be a One-Hit wonder with their song “Right On Track”. Madonna has been making a comeback these days. She performed well at the Super Bowl. There was a small controversy, but it wasn’t her causing it. M.I.A. “flipping the bird” actually made Madonna look like the good guy for a change. And I actually had to look up M.I.A.’s name because I already forgot it!